Avoiding milk, egg, peanuts, fish, wheat and many allergenic foods can be exhausting for both parents and children. The easiest way to deal with food allergies is by introducing all the allergenic foods into the infant’s diet. In the past, most studies were focused on one specific food type and introducing each food in later childhood. But new research finds that children whose diet includes all egg, peanut and cow’s milk products before the age of one showed immune protection against these allergens. The researchers collected data on 1,421 children from 3 to 24 months old. The results confirmed that there was a lower risk of developing allergic reaction for those children who consumed peanut, eggs and cow’s milk products before the age of one. Children who were exposed to less food diversity were at the highest risk for all allergies. 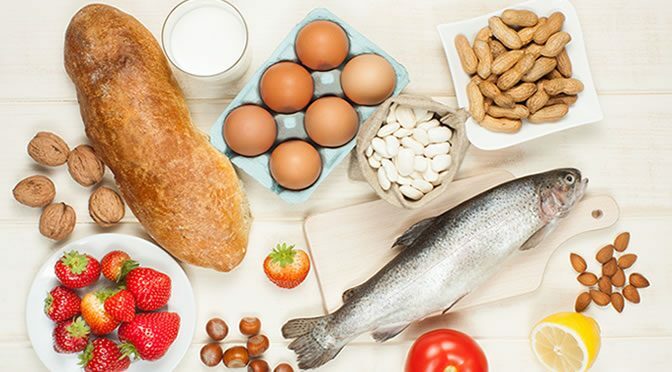 “The clinical implications of our findings are that early introduction of allergenic foods (egg, cow’s milk products, and peanut) before age one should be encouraged and is better than food avoidance for reducing the risk of food sensitization. In terms of allergy prevention, these findings encourage the introduction of diverse foods into infants’ diet as early as possible, instead of a delayed introduction. The study was published in the American Thoracic Society Journals (Tran et al., 2016).